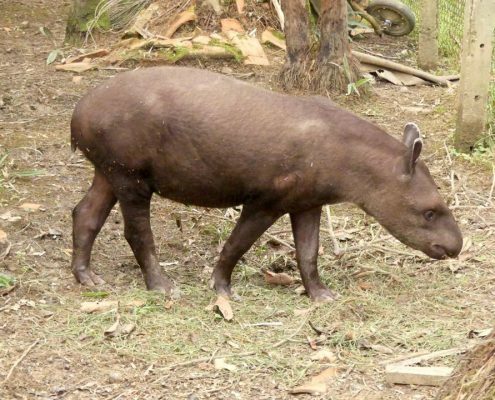 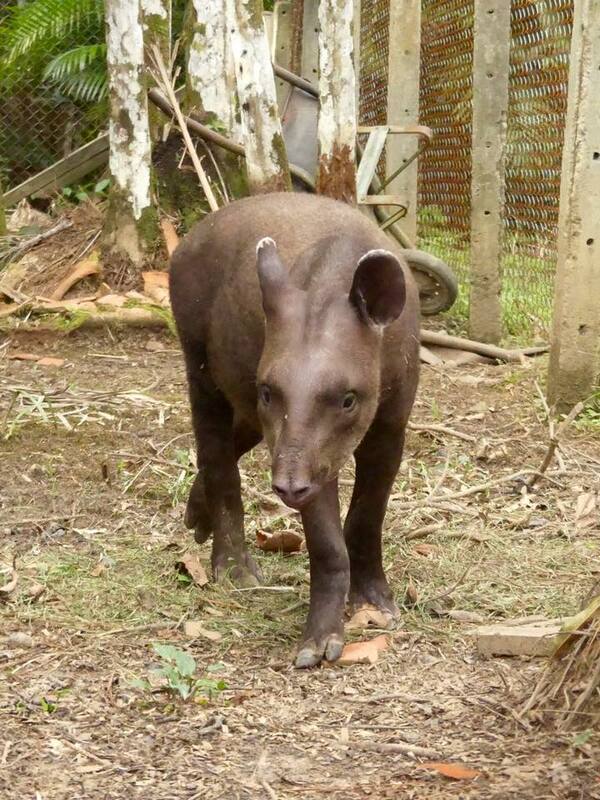 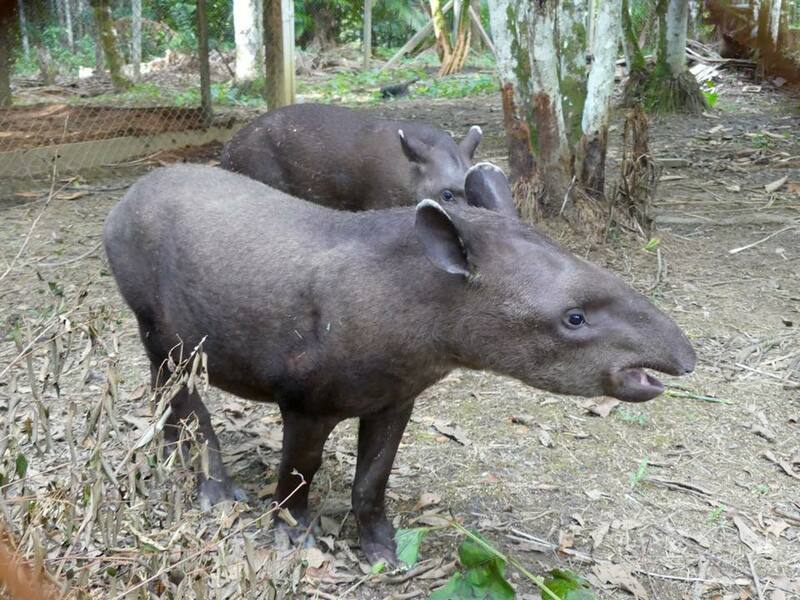 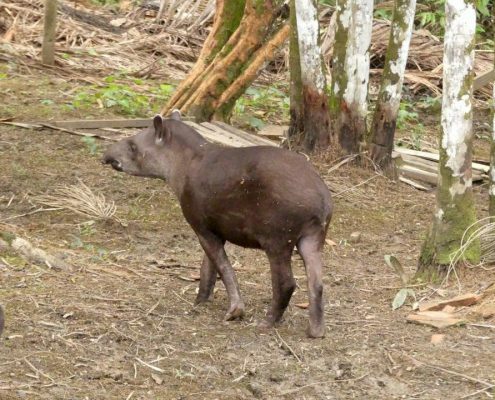 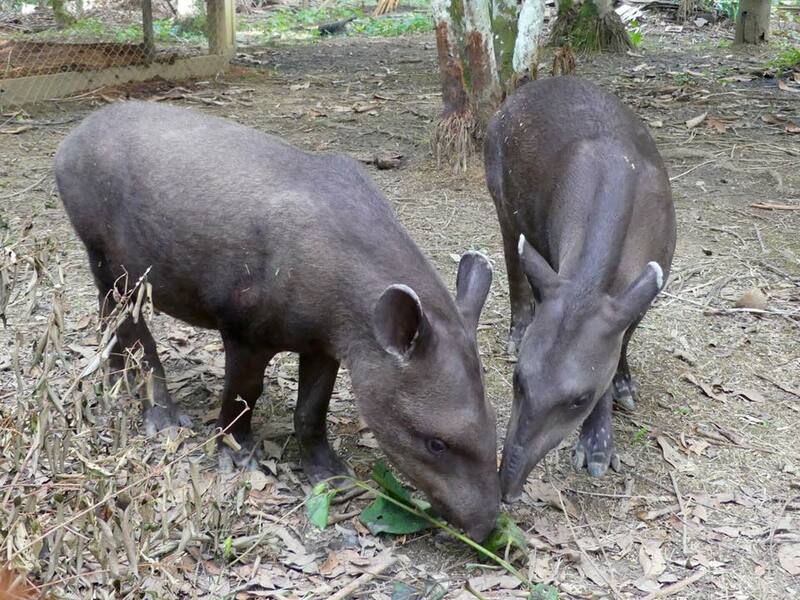 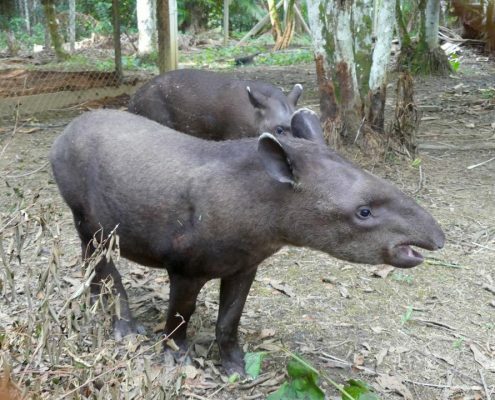 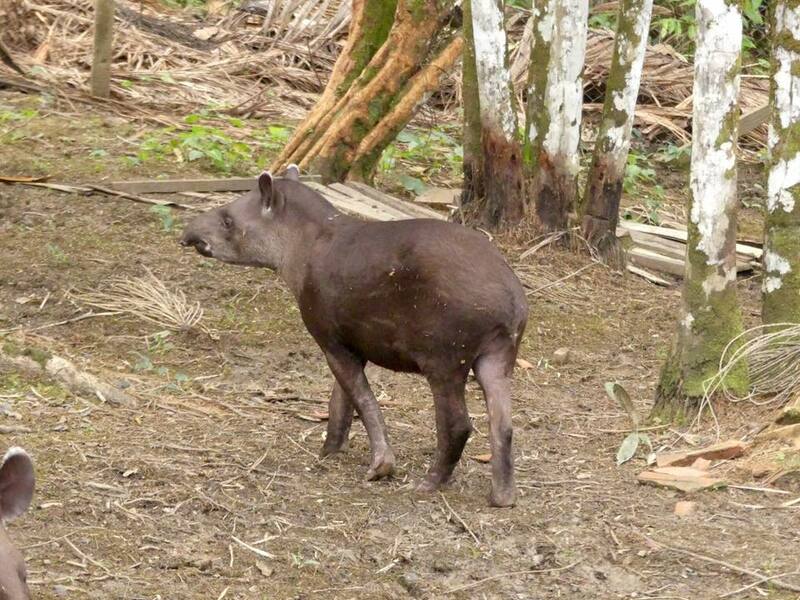 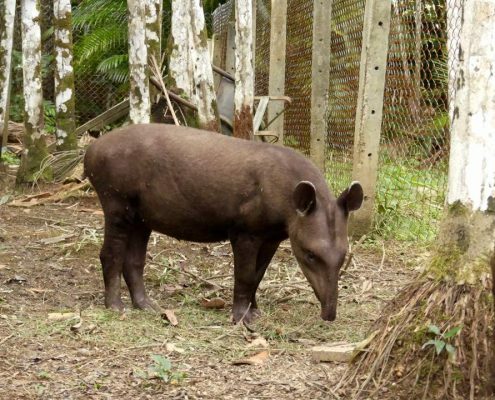 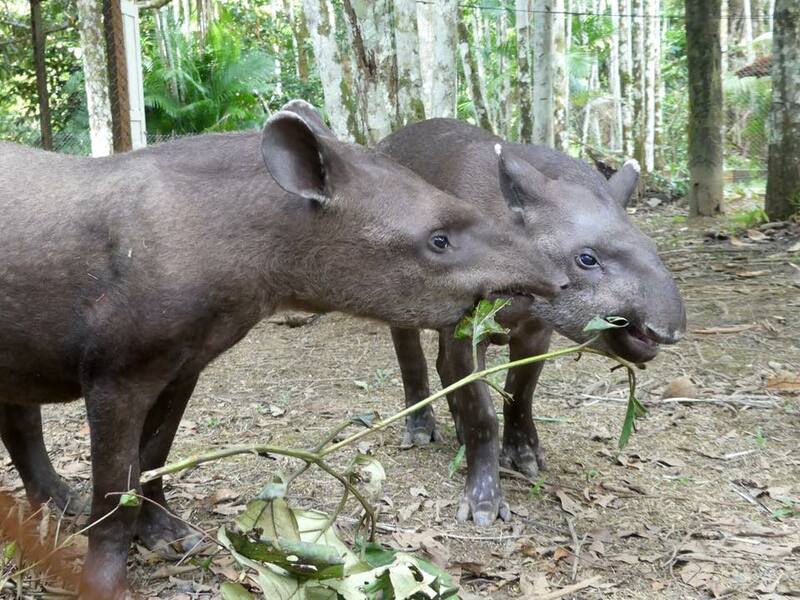 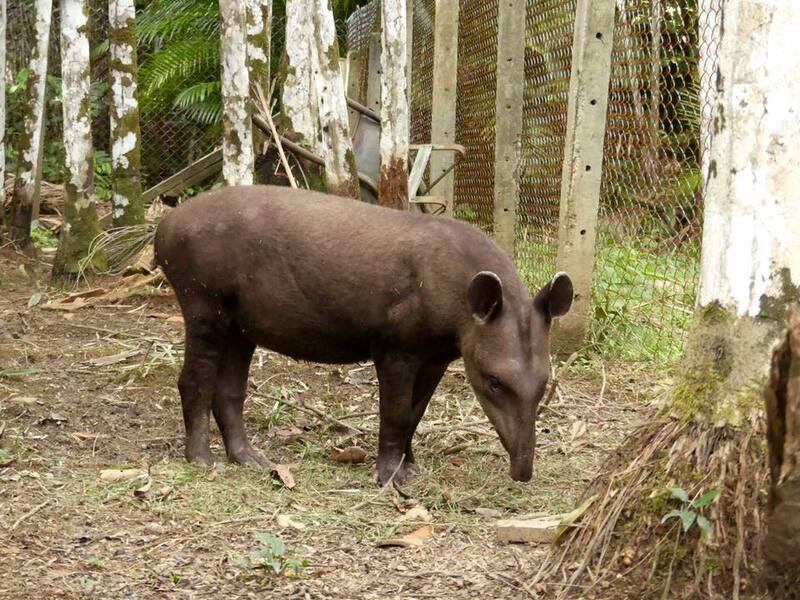 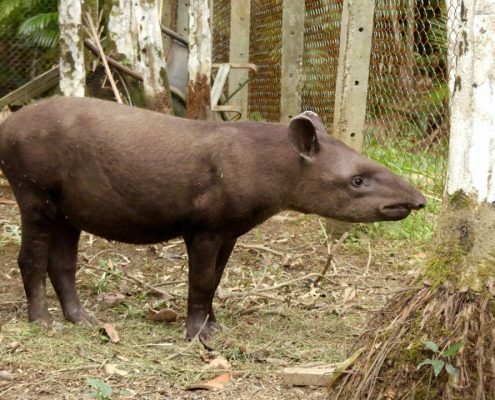 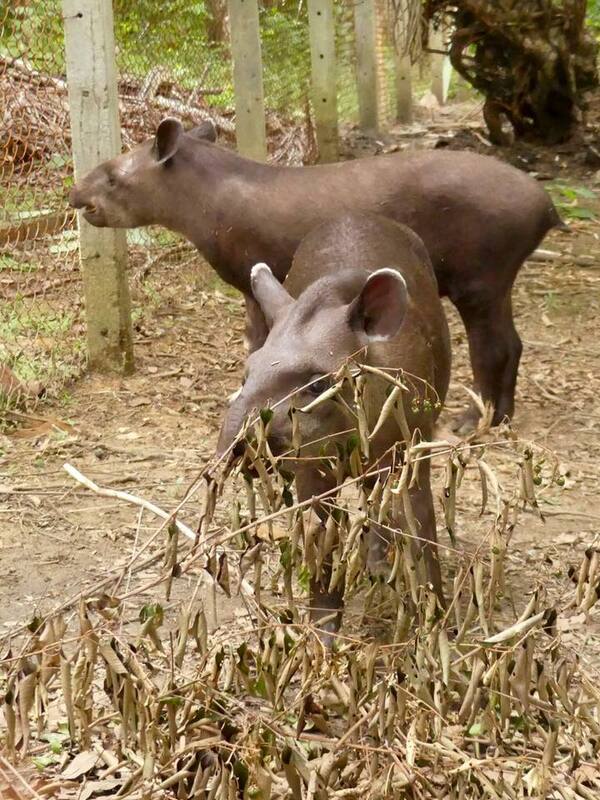 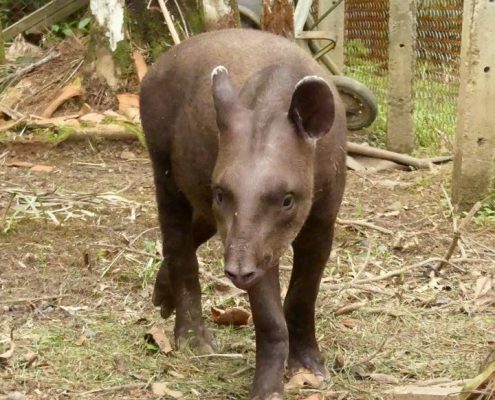 Brazilian Tapir or Anta as it is known in Portuguese is the largest mammal in the Amazon rainforest. 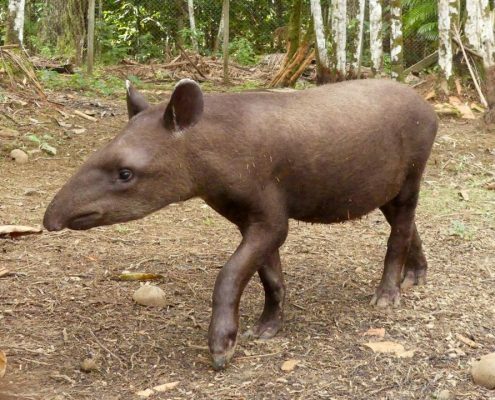 The size of a cow and a strange elephant-like face, it’s one of the most bizarre animals on earth. 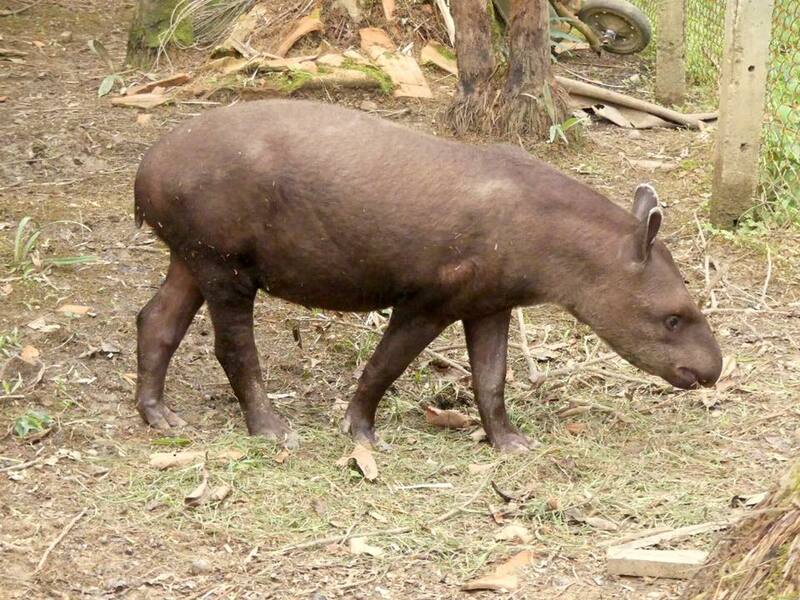 It’s elusive and endangered, and to spot one in the wild would require weeks and weeks of trekking in the jungle. 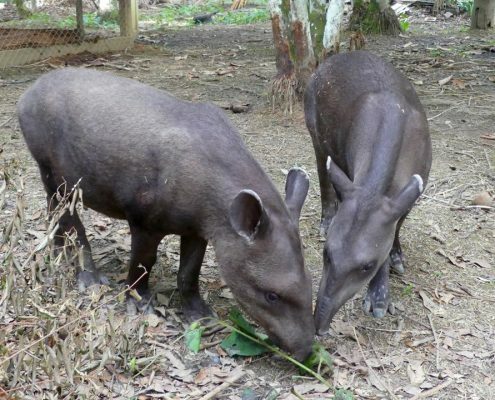 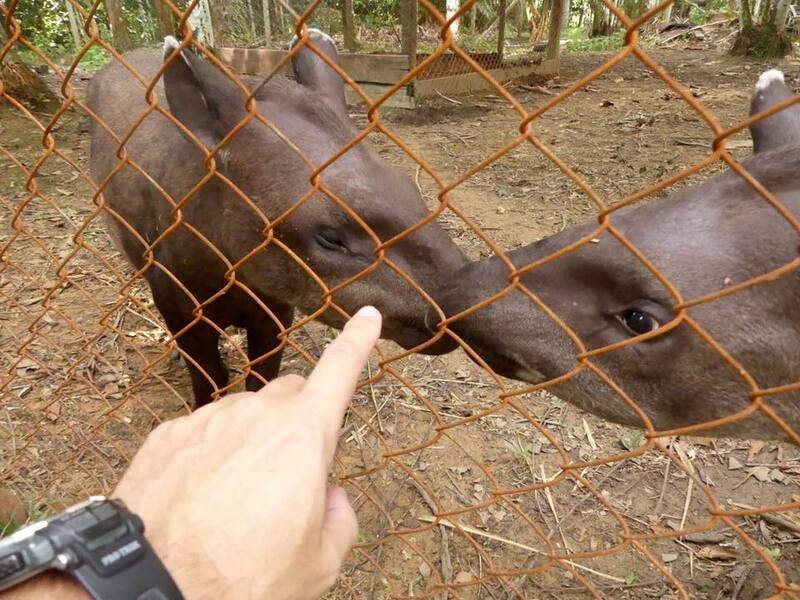 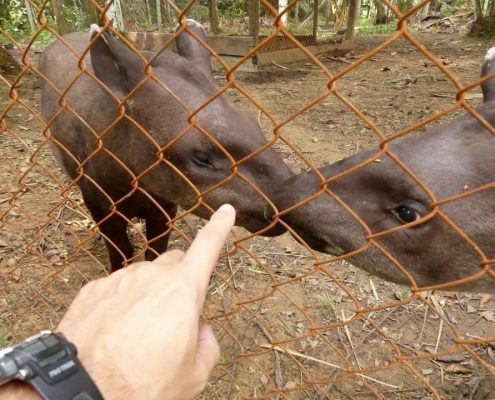 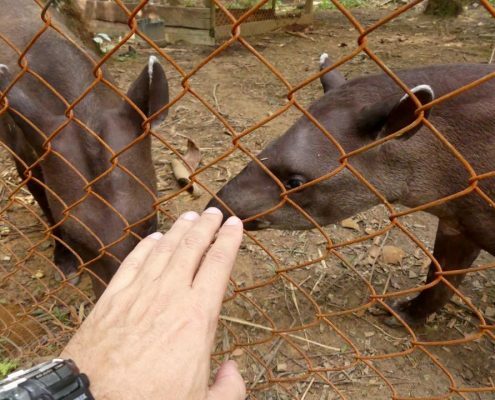 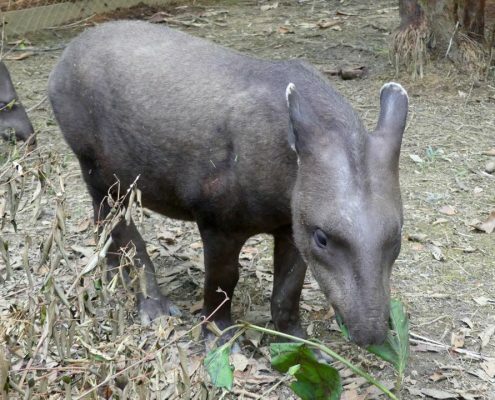 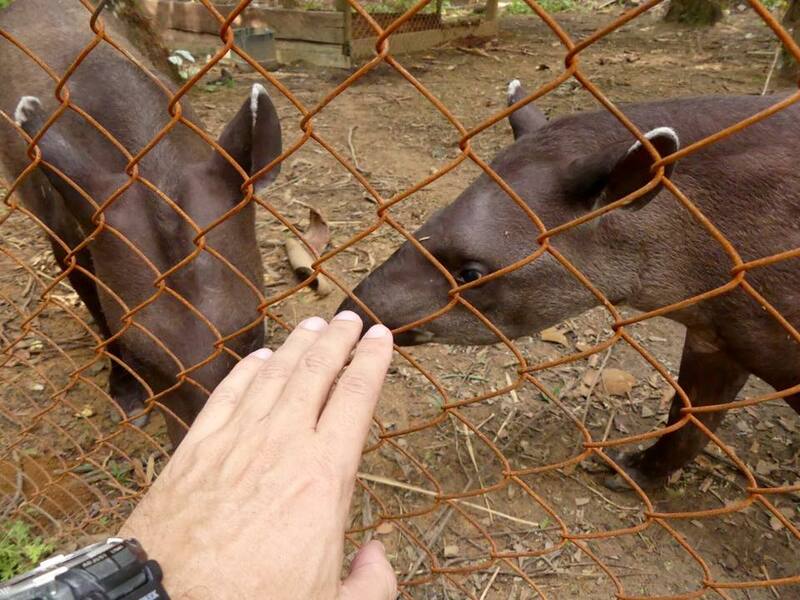 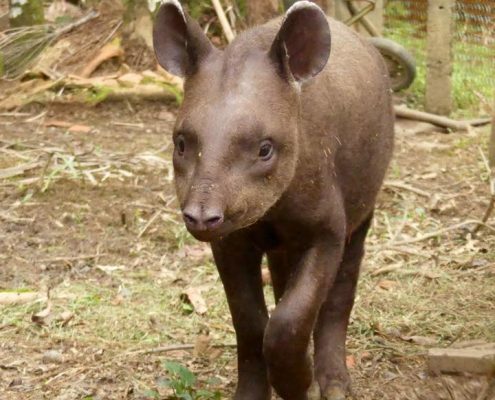 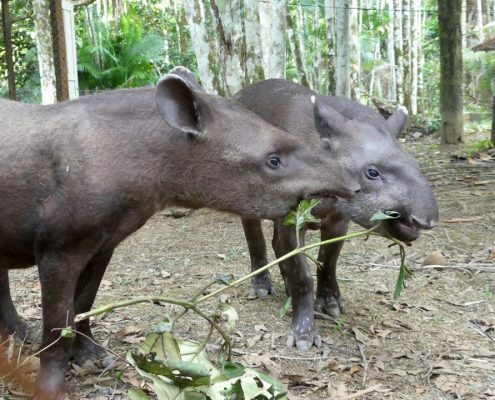 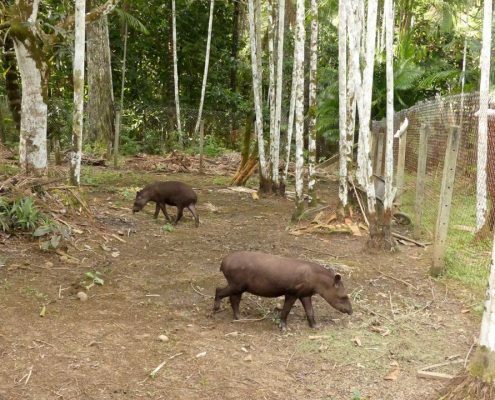 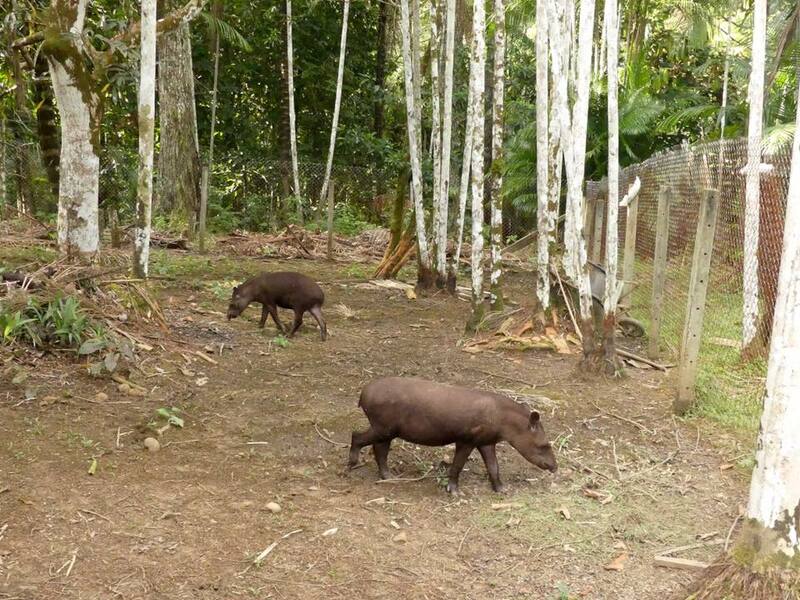 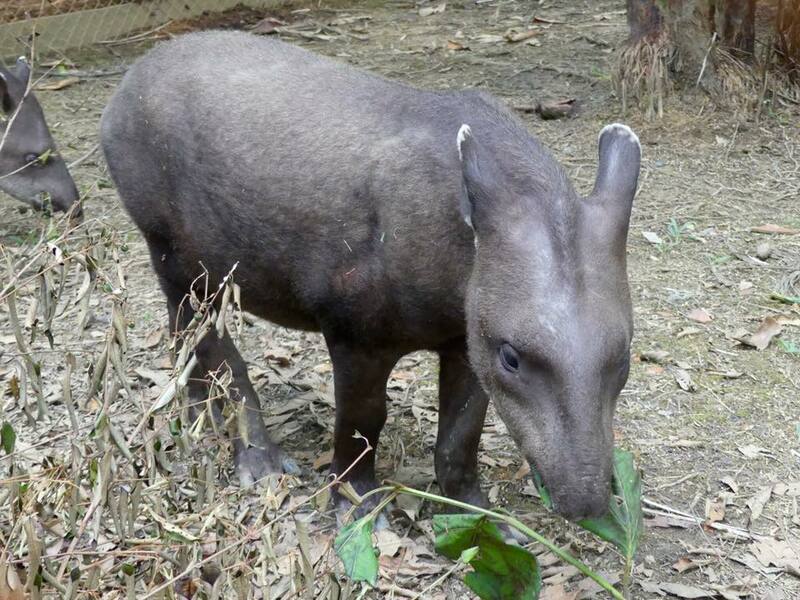 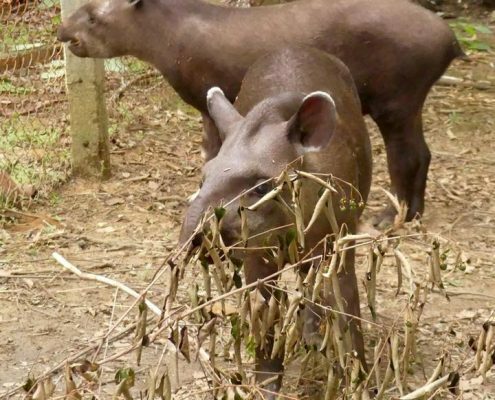 Luckily, there were two baby tapirs that were rescued by local people and given to the national park rangers for recovery and eventual release into the wild. 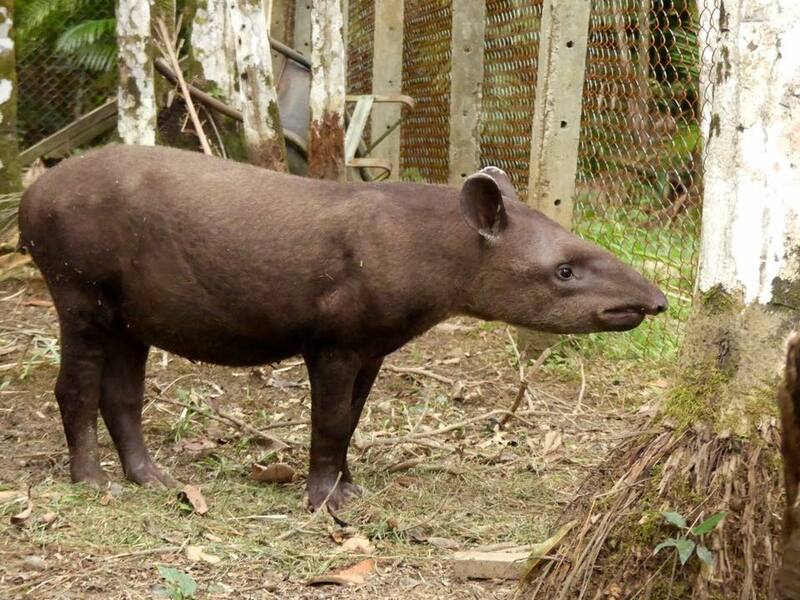 Tapirs are herbivores and their predators are black caymans and anacondas.